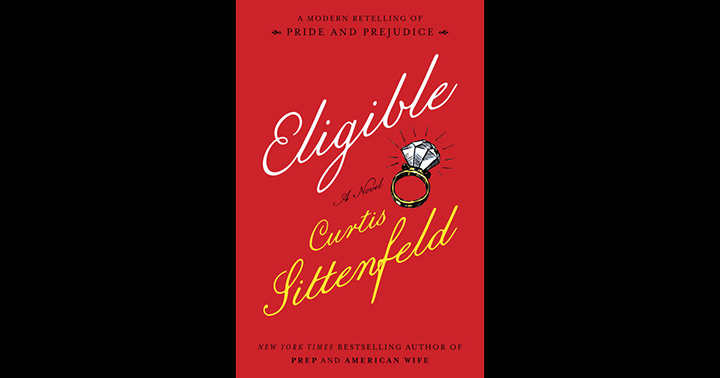 The latest novel by Curtis Sittenfeld is a marvellous retelling of Pride and Prejudice, and Curtis has done a fantastic job of taking a classic novel from last century and making it relatable for modern readers. The characters are still the same. Their names might be different or they may have nicknames, or there may be extra characters added into the story, but Eligible does parallel Pride and Prejudice in many ways. Eligible is full of glorious storytelling, hilarious situations, brutally honest characters, and relationship troubles that mirror modern society. Eligible explores all of the family members, not just Lizzie. By the end of the novel, the reader will know about all of the characters’ lives, their struggles, their heartaches, their hopes and dreams, and their relationships. Curtis weaves in and out of their lives so that the reader can understand each member of the family without bias or marginalisation present. This is hard to master in a novel featuring so many characters, but Curtis does it brilliantly. About a year before, Kitty and Lydia had embraced CrossFit, the intense strength and conditioning regimen that involved weight lifting, kettle bells, battle ropes, obscure acronyms, the eschewal of most foods other than meat, and a derisive attitude toward the weak and unenlightened masses who still believed that jogging was a sufficient workout and a bagel was an acceptable breakfast. Naturally, all Bennets except Kitty and Lydia were among these masses. Curtis incorporates modernity into a classic story to really intrigue and entertain the reader. Jane is in her thirties and single and is going through IVF and sperm donors to get pregnant. Lizzie is a magazine writer in her late thirties who is engaged in a friends with benefits arrangement with Mr. Darcy because she’s still pining after a man from back home who has been stringing her along. Their younger sisters Kitty and Lydia are too overly obsessed with CrossFit and Paleo diets to worry about careers, and Mary is an oddity who barely communicates with the family and is keeping secrets of her own. It is the combination of these characters, who possess the personality traits from Jane Austen’s tale but whose lives have been adapted to fit in with 21st century America, that makes this novel so enjoyable. Curtis Sittenfeld has written a heartfelt, enjoyable, hilarious and entertaining novel that both honours and updates Austen’s beloved novel Pride and Prejudice. The reader will know where the story is headed because of how Pride and Prejudice ends, but Sittenfeld manages to push the limits of the original tale and provide her own spin on the characters and their societal relations. A fantastic story, and a brilliantly written novel.